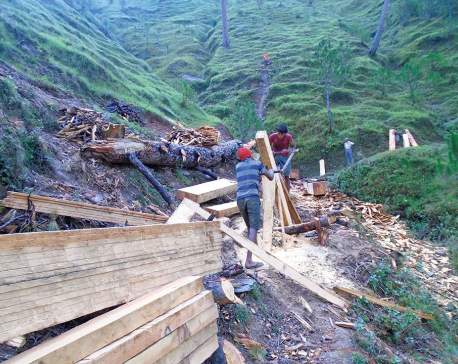 KATHMANDU, Feb 13: The community forestry program in Nepal helped significantly increase Nepal’s forest cover which was steadily declining due to deforestation, encroachment and haphazard cutting down of trees back in the early 1990s. 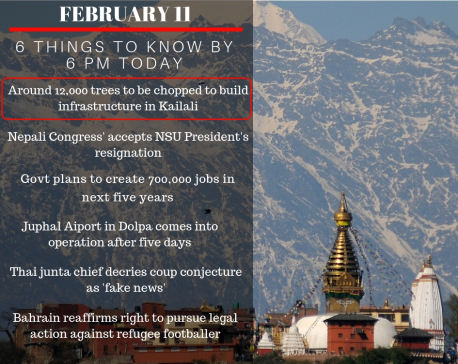 KATHMANDU, Feb 12: The community forestry program in Nepal helped significantly increase Nepal's forest cover which was steadily declining due to deforestation, encroachment and haphazard cutting down of trees back in the early 1990s. 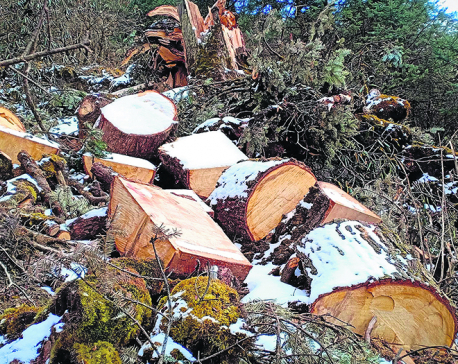 DOLAKHA, Jan 10: Kalinchowk of Dolakha district has been facing rampant deforestation and encroachment of public land as a result of tourism boom. 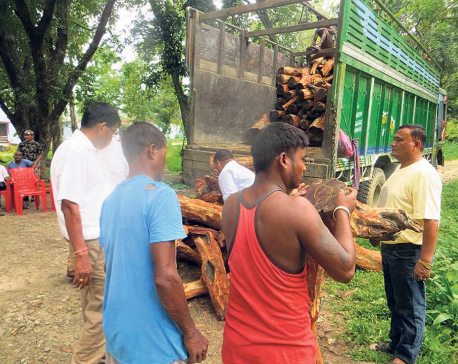 SURKHET, Nov 24: About a month ago, locals of Barahatal Rural Municipality-4 in Surkhet had informed concerned stakeholders about rampant deforestation and timber smuggling in forest areas. 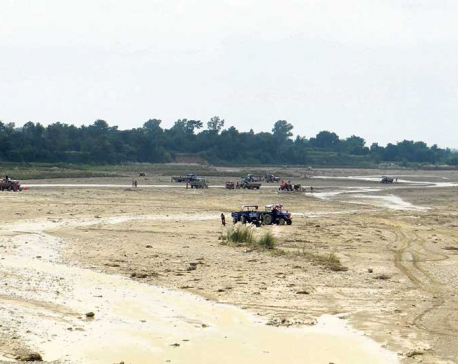 Pagma Area Forest Office and Bheri Divisional Forest Office among other offices were informed about the misdeeds. Yet, none of the offices deployed their teams to investigate. 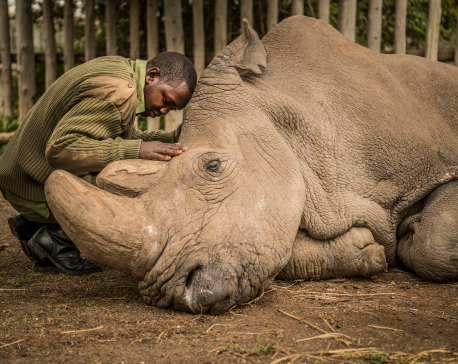 Time is running out for the tropics: Extinction of hundreds of species due to deforestation, over-fishing and climate change is 'imminent' unless we act NOW, new research warns. 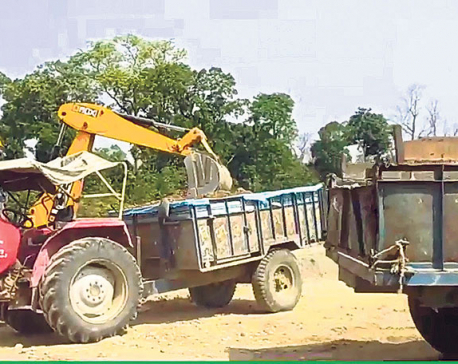 BAJHANG, July 19: With the rise in smuggling of woods, locals of Kedarsiu Rural Municipality-6, Jasuda have started fearing landslides and displacement. 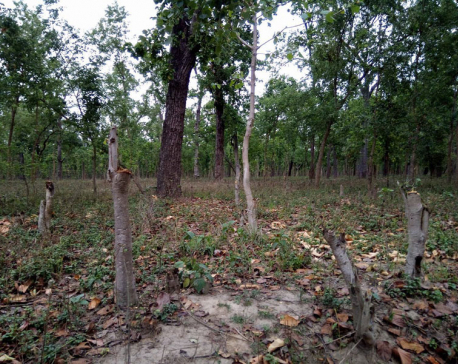 MORANG, Dec 29: As the random construction of concrete graves in various locations across the dense forest in the eastern part of the country continues unabated, the forests in Jhapa, Morang and Sunsari districts have remained under the threat of deforestation.